Support Bodhi Path when you shop with Amazon Smile. Since 2013, supporters of Wisdom Foundation and Bodhi Path have been adding extra meaning to their online holiday shopping experience! Here's how you can do it, too. By adding a "smile" to your Amazon purchases, Amazon will automatically donate a portion of the proceeds from qualifying purchases to Wisdom Foundation, which is the charitable organization that supports the activity of Bodhi Path centers. Simply visit smile.amazon.com and choose Wisdom Foundation as your charity. The site is operated by Amazon and has all the same products, prices and shopping features as Amazon.com. Your holiday purchases will support mindfulness and meditation! 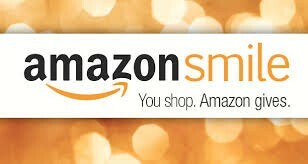 Shop at smile.amazon.com. It's that easy!